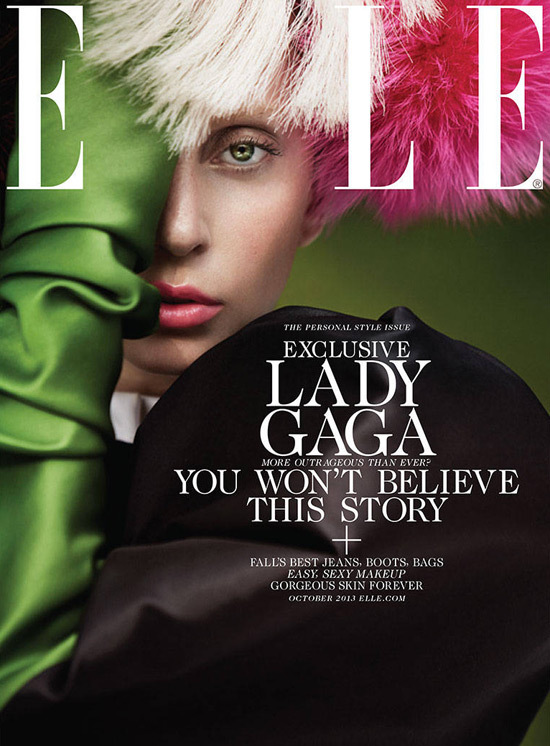 Lady Gaga covers the October 2013 issue of Elle magazine. The mother monster is looking pretty with her pink hair and makeup. Inside this issue she talks about handling stress, the critics, and the difference between Stefani and Gaga. Check out more looks below.